(Getwestlondon) -A London drug dealer has been jailed after he was caught with 160 wraps of drugs inside him. Mohamed Wallace, of no fixed abode, went on hunger strike for more than 20 days while he was in police custody, before he passed two large bags of drugs. They contained 45 packets of crack cocaine and 59 packages of heroin and 56 packages of crack cocaine. According to Surrey Police, each packet was "the size of a large plum" and they had been "secreted inside him" since his arrest. The 24-year-old was arrested in Kingston Road, Ewell, Surrey, on April 6 by officers who were cracking down on cross-border drug dealers. Officers searched his car and found three mobile phones, cash, a tub of coco butter, bio oil and feroglobin liquid, which can be used as a laxative. He was taken straight to East Surrey Hospital as officers were concerned the drugs were inside him, but he refused an x-ray and became very aggressive. He was then taken into police custody, where he was kept under constant observation. However, the dealer refused to eat and police had to apply to court for an extension to his detention to continue holding him. On April 26 he appeared at Staines Magistrates' Court, where he was jailed for eight weeks after pleading guilty to driving while disqualified, driving without insurance, breaching an anti-social behaviour order, and possession of cannabis. The day after the sentencing, prison staff caught him attempting to secrete the drugs which he had passed. 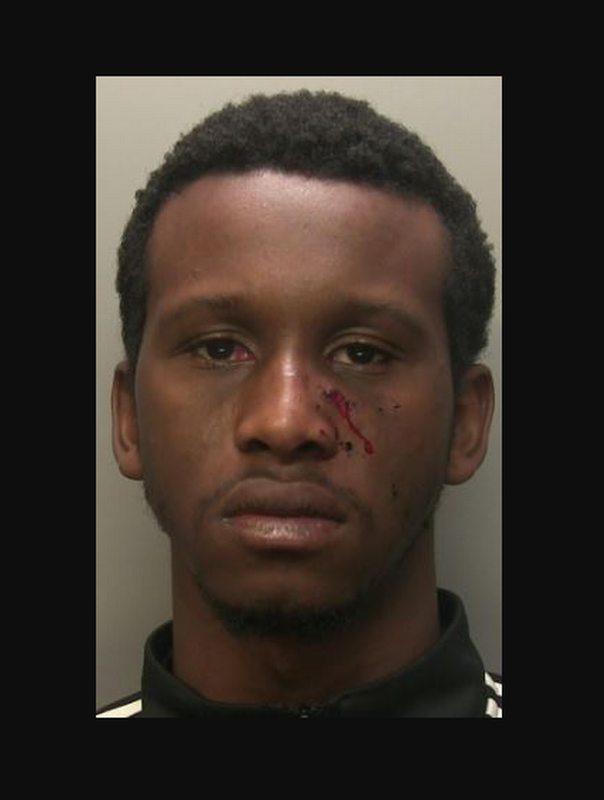 The dealer was the appeared at Guildford Crown Court on November 15 where he was sentenced to another four years imprisonment for possession with intent to supply diamorphine and four years for possession with intent to supply crack cocaine. Wallace was also sentenced for possessing control identity documents with intent, as he produce someone else's driving licence and gave a false name when he was arrested in April. Detective Chief Inspector Mark Preston said: “Mohamed Wallace put his health at considerable risk while in custody by going on hunger strike, and could have saved himself a lot of suffering. “This is again another example of our officers proactively patrolling the streets to look for potential offenders and is proving a success in disrupting drugs networks that have come into our county."